Dr Adams had written, with great flourish, to Joseph Banks, the President of the Royal Society, whose offices were but a short distance away at Montagu House in Great Russell street. We were a little abashed to call upon such a Luminary, but were assured he would receive us; the other letters were addressed to John Sheldon, a leading Anatomist, Richard Kirwan, the Chemist, and William Aiton, the superintendent at Kew Botanical Gardens. I declared then and there that I would rather meet with Banks than with any of the others, having no desire as yet to be Autopsied, Analysed, or served up with a Garnish; besides, were Banks to take my case in hand, surely the others would follow, whereas if I had my first audience with lesser men, their fellows might still require Persuasion. Having no other pressing Business, we headed out on foot the next morning, which we were relieved to see had dawned clear and crisp, the pestilent Fog having lifted, and autumnal breezes scoured the City of its effects. 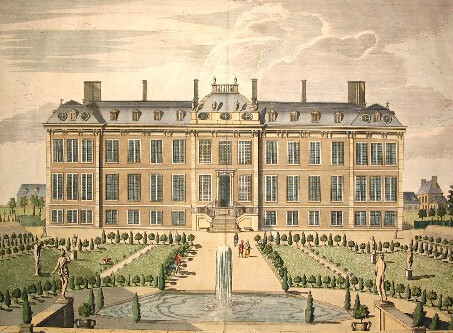 it was but a walk of perhaps ten minutes to Montagu House, which was home to the British Museum as well as the Royal Society; we ascended the front steps, and my Benefactor handed his Card to the uniformed doorman, mentioning that he had with him an introduction to Mr Banks. "Very well, sir, you may go in—but your pig must remain outside," added that gentleman, as we moved to enter. "He’s not my pig, sir—he is entirely his own—and it is he, specifically, that Mr Banks will most want to see," Sam insisted. "Is he then a Specimen?" "Certainly not! I’ll have you know Toby is an Educated pig; he has just completed a year of study at Oxford." This was too much for the doorman, who concluded that our visit must be some sort of Prank; he laid his hands on both of us, and forcibly escorted us down the stairs and out of the gate. I urged Sam to make the attempt alone, assuring him that I would not be in the least inconvenienced to Wait for him outside, but a glance from the doorman seemed to threaten even that attempt, and we backed off and slunk away down the street.